Detectives with the Criminal Investigation Division, Special Missions Unit, were able to identify the suspect in this case. On Friday, July 13, 2018, the case was reviewed by the Bell County District Attorney’s Office and a complaint was returned charging 36 year-old Christopher Rodney Lee Deborde with Possession of Prohibited Weapons – Improvised Explosive Device (pipe bomb). Justice of the Peace Bill Cooke issued a warrant for his arrest and suggested a bond of $200,000. On Monday, July 16, 2018, with the assistance from the Bell County Sheriff’s Department, KPD Detectives located and arrested Deborde without incident and transported him to the Killeen City Jail. He is awaiting transport to the Bell County Jail. 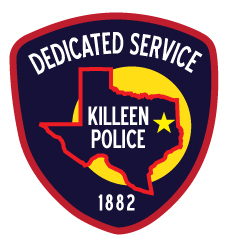 On Wednesday, July 11, 2018, Killeen Police received a call at 2:32 p.m. from a Bell County Constable in reference to a suspicious device in the 4400 block of Maggie Dr. Upon the officers’ arrival, they learned that the Constable was at a residence to serve an eviction notice when he was notified about a suspicious device. Nearby residents were evacuated and the Fort Hood Explosive Ordinance Disposal (EOD) Team was contacted and asked to assist. Fort Hood EOD arrived on scene and assessed the devices. A second device was located and both devices were made safe and seized by agents with the Federal Bureau of Alcohol, Tobacco, Firearms and Explosives. At approximately 7:30 p.m. all agencies safely cleared the scene and residents were able to return to their homes. The agencies involved in this incident were the Bell County Constable’s Office, Fort Hood EOD Team, BATFE and the Killeen Police Department Patrol Division.